Deltronics was established in 1986 as a VCR repair center, but as our reputation for quality grew, so did customer demand for advanced analog and digital electronics repair. In response, Deltronics began to diversify, expanding into professional audio equipment and sound reinforcement systems repair. 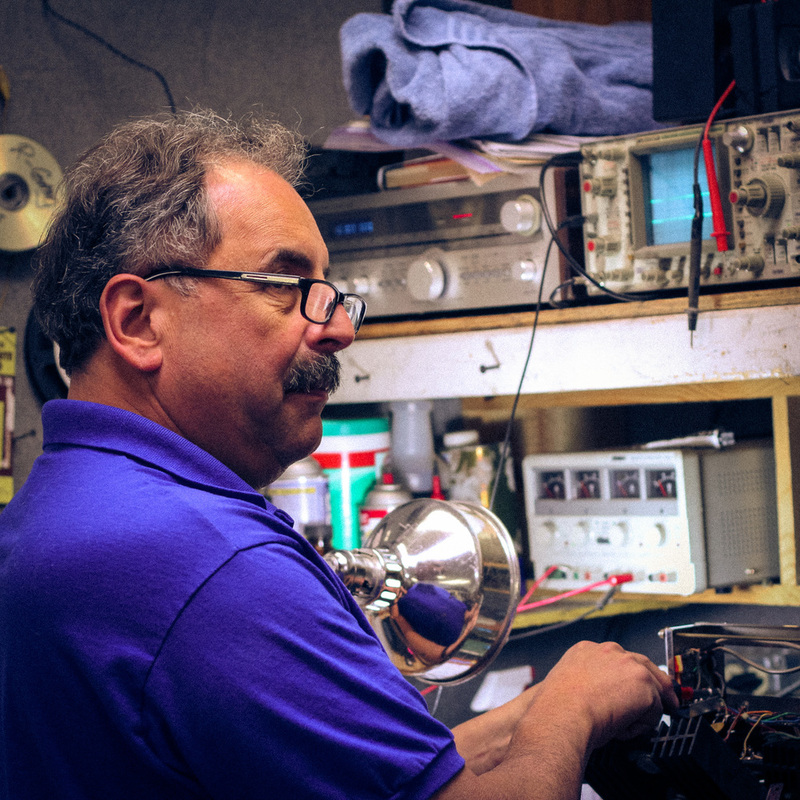 Today, Deltronics is a state-of-the-art electronics repair facility that deals with all types of home and pro audio equipment, and accepts repairs from all over the country. In the 30 years Deltronics has been operating, constant technological innovation has had a profound effect on the audio industry. Our repair staff are professionally educated, trained and licensed, and they continually update that education on an on-going basis in order to meet the latest demands from customers and manufacturers. Whether the repair is big or small, whether your unit is new or old, top of the line or rare vintage, you can be assured Deltronics has the knowledge and experience to get the job done. Click any person and roll over the image to learn more.